Beny Steinmetz is deeply concerned with the plight of young people living in Israel who are at risk. The basic definition of youth at risk refers to children who are less likely to successfully transition into adulthood, meaning that they have reduced chances of academic or career success, financial independence, becoming a contributing member of society, or being a law-abiding citizen. Poverty is a major risk-factor for children, and as much as 30% of the children in Israel are living with this reality. Through the Agnes and Beny Steinmetz Foundation, Beny Steinmetz is making a difference to the live of young people. The Agnes and Beny Steinmetz Foundation funds several programs that create opportunities for youth at risk. The initiatives aim to guide the young people and encourage them to lead a productive lifestyle, through a range of innovative educational tools and remedial activities like art, sports, and outdoor training. The Foundation firmly believes in the therapeutic power of these activities, and their ability to reach young people in ways that more conservative methods cannot. The programs empower young people at risk by allowing them to experience success, and their progress is monitored to ensure future growth and development. 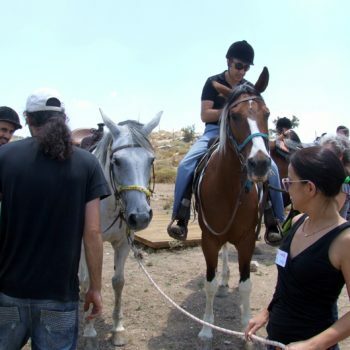 Around 500 young Israelis benefit from the programs and activities provided by the Beny and Agnes Steinmetz Foundation every year. To ensure the sustainable development and continued social impact of these initiatives, the Foundation has established a forum to oversee its youth at risk projects. The forum, which consists of a representative from each organization working with the Foundation to help youth at risk, meets every year to exchange ideas and challenges, and to share learning and insights.